In 1935, when the bank calls in her mortgage, Sarah Picoletti – now a penniless widow – finds herself and her children on the brink of homelessness. Sick at heart, she plans to beg her brother in New Jersey to take her family in. Then Doctor Samuel Giorgi knocks on her door. Godly and well-off, Sam seems to have put the careless ways of his youth behind him, and he also appears to have one desire: to make Sarah his wife, two decades after he broke their engagement. However, nothing prepares Sarah for the storm that breaks once she makes her decision. Everywhere she turns, the errors of her former choices confront her, insisting on her inferiority and the irreparable brokenness of her past. 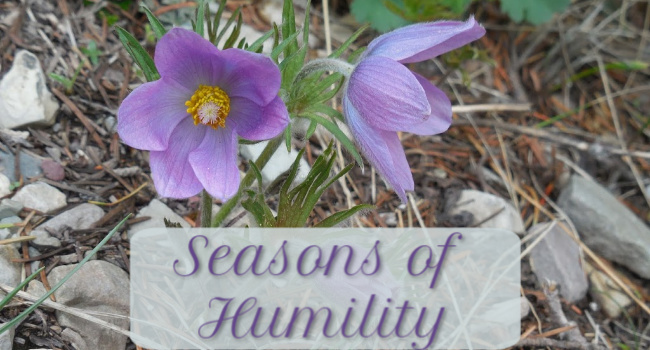 Sarah begins to wonder if Christ really can bring true redemption or if He is limited by her frailty. Meanwhile, her daughter Grace faces new challenges in her own life. When her relationship with Paulie changes unexpectedly, Grace realizes that she must make a decision with the potential to alter both of their futures. Compassionate and intensely poignant, All Our Empty Places paints the portrait of a mother and daughter with broken pasts, who dare to step into a future overflowing with the grace of the Cross. Purchase the 1st book, The Fragrance of Geraniums, for $.99! 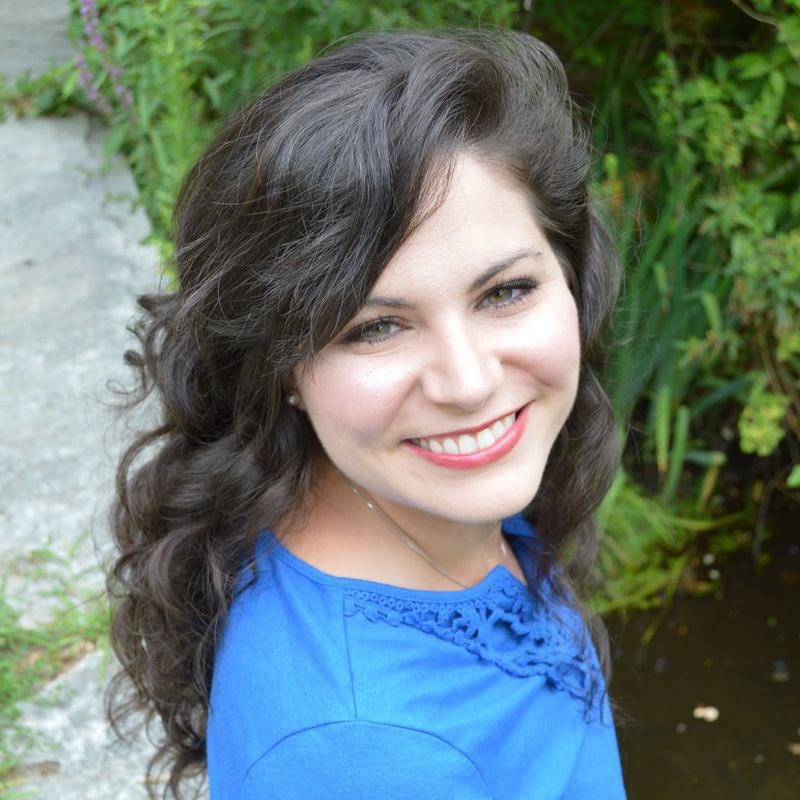 Alicia G. Ruggieri writes Christ-centered fiction that speaks of redemption. She received her B.A. in Communications and History from Rhode Island College and lives with her husband and their emotionally-disturbed pug on the New England coast. First, want to hear about this exciting story? Autumn O’Neill came to Arizona on an archaeological dig hoping to find out what happened to the ancient Anasazi tribes, but her true desire was to discover her own Navajo roots. 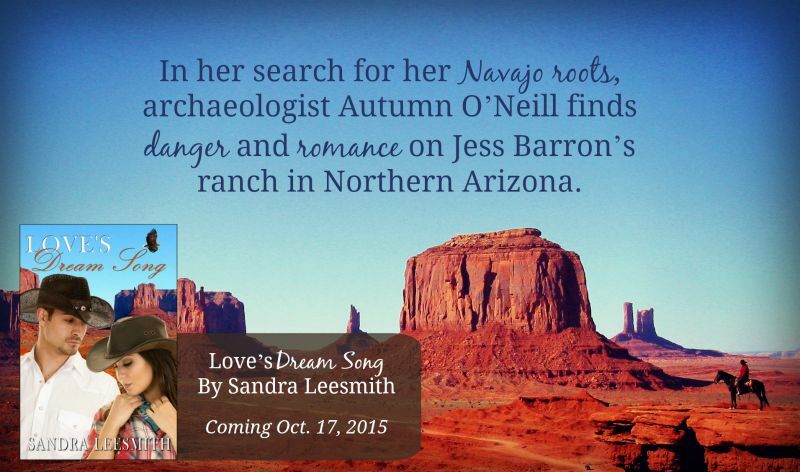 It didn’t help that the dig was located on Jess Barron’s ranch and that the handsome rancher scorned his own native American heritage and believed Autumn was part of a drug ring operating on his land. When the dig is compromised and danger threatens their lives, Jess and Autumn can no longer fight their attraction for each other. They both come to understand that finding answers means listening to the voices of their ancestors and the longings of their hearts. Sounds intriguing, right?? The setting and the Native American cultural elements certainly catch my attention! 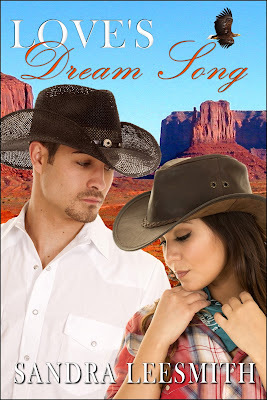 Love's Dream Song will release October 17th, but you can pre-order the ebook now on Amazon! And don't forget to add the book to your TBR shelf on Goodreads! In a word: dreamy. ;) The stark and gorgeous backdrop, the swirly script in the title, the eagle soaring in the bright blue sky above the swoony hero and lovely heroine, the intense look on the hero's face (and the stubble. of course! this is a running theme!)... Yep, it all comes together to paint a dreamy picture. Sandra was gracious enough to answer several questions, too! Amber: Welcome, Sandra! Love's Dream Song is a book that was written and published once before as Dream Song. How did you go about writing the book the first time, and what was it like preparing the book for republication? Sandra: Hello Amber, and thank you for revealing my new cover for Love’s Dream Song. This book was actually my very first romance novel. And as so often happens, it wasn’t the first one published. When I was teaching, we were given an assignment by my Arizona State University professor to write “what we loved to read”. 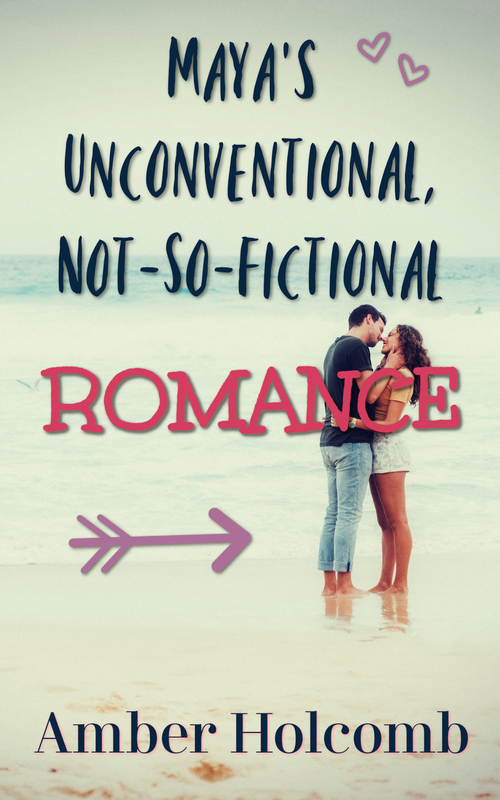 I loved to read romance so that summer, I wrote a romance novel. We were camping in Northern Arizona Color Country, hiking around a lot of the Anasazi ruins, so the story evolved from the interesting facts we were learning about the ancient culture. This has always been one of my favorite stories so I was very excited to re-write it for republication. The wonderful advantage of the new paradigm in printing is we can revisit novels that went out of print. Warner first published it in the eighties, but I have changed it a bit, hopefully using my improved writing skills. What was the most interesting thing you learned while researching the Anasazi and/or Navajo tribes? 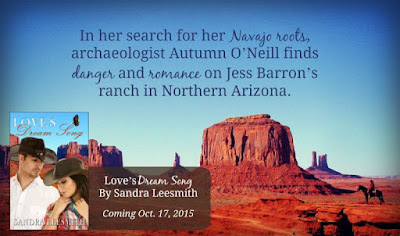 Sandra: It has always been a mystery as to what happened to the very advanced and flourishing Anasazi people. They are the Native Americans who lived in the ancient cliff dwellings found in the Southwest. Hundreds of years ago, they suddenly disappeared and archaeologists are not certain as to why. I used one of the less popular, but more intriguing, speculations as part of the premise in Love’s Dream Song. When I finished writing this novel, I happened to be invited (through my work with ASU) to the Navajo nation to present educational workshops to the teachers on the reservation. Several women I met helped me with many aspects of the culture of Dineh (The People). Amber: Arizona is a state you know very well. :) What do you hope readers take away from the book about the setting? Sandra: Northern Arizona and Southern Utah are called by the tourist industry Color Country, and they are called that for a reason. The red rocks in the area are spectacular. The picture on the cover is Monument Valley and it shows you the gorgeous array of color found in the area. I hope readers become interested in exploring the popular area and seeing the beauty for themselves. The human history is fascinating as well. Amber: What is your favorite part of the cover for Love's Dream Song? How do the models match up with the characters in the book? 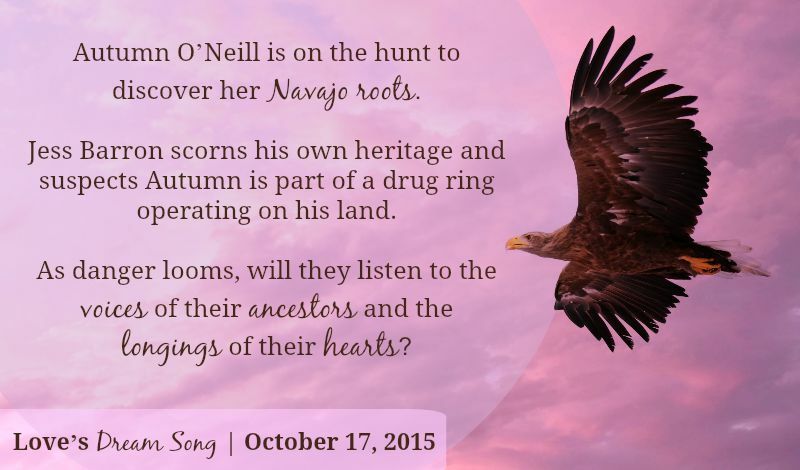 Sandra: I am an animal lover so I have to admit my most favorite part of the cover is the eagle. The mighty bird shows up at pivotal moments in the story. Animals are a major part of Native American spirituality and I think the eagle helps show that. I really love how Debora Lewis at ArenaPublishing.org matched the characters to those in the book. When I look at that hero, I have to say “be still my heart”. I really like how she continued with the Love’s _____ theme established by you, Amber, and Lena Goldfinch in my previous books. Amber: "Be still my heart," indeed! Debora did a wonderful job. So, how does Love's Dream Song compare to your other recent releases in terms of the story? Sandra: All of my books are so different. I know I should be developing a brand or certain type of story, but I have to write what comes to me. I guess I like variety. Love’s Dream Song has a lot of historical elements and a relationship to another culture, which I don’t have in any of my other novels. There is more suspense also. Love’s Refuge had some suspense, but you wouldn’t call it a romantic suspense. I think Love’s Dream Song qualifies for that genre. Even though all of my books are different, they all are written by a faith-based author so you will not find the bedroom scenes nor vivid violence. I may or may not refer to God directly, but it is understood that the hero and heroine are Christian and live by Christian values. Amber: A romantic suspense? Awesome! And variety in this industry is a great thing in my book. Thanks so much for joining us today, Sandra! If you ever wonder where my characters get their impulsiveness from...well, wonder no more! A few weeks ago when my sister and I visited Heceta Head Lighthouse on the Oregon coast, the lighthouse tour guide told us about the bed and breakfast operating out of one of the former lightkeeper homes. I was delighted at this discovery and definitely intrigued at the possibility of staying the night in such a beautiful location. My thought was to come back in winter sometime, when the rates are a little cheaper (being off-season). But then last week I saw that one of the smallest rooms remained unreserved for Labor Day. After double-checking to make sure I could get Tuesday off, I promptly booked it. The grand porch, perfect for sunny-evening reading. A peek at the lighthouse. A distant view of the lighthouse (left) and B&B (right). Such an amazing, relaxing, unforgettable experience! (The lighthouse at night, surrounded by stars? A memory to cherish.) I totally recommend Heceta Head Lighthouse Bed and Breakfast - and even just a visit to the lighthouse. Light is such a magnificent thing, isn't it? And now that I've finally finished another story (the first draft of Sting Me to Sleep - didn't I tell you? :)) and had a chance to look back on my poor neglected novella, I feel grateful and encouraged and motivated to tackle Where Trains Collide once again. Wish me luck! P.S. This post was not sponsored by Heceta Head Lighthouse B&B. I just wanted to share some pretty pictures and gush about the beauty of it all! Maybe we can’t predict the future, but we can predict some things. For example, I am certainly going to fall in love with Olly. It’s almost certainly going to be a disaster." I couldn't help but be intrigued by the blurb for this book and the wild, eye-catching cover. 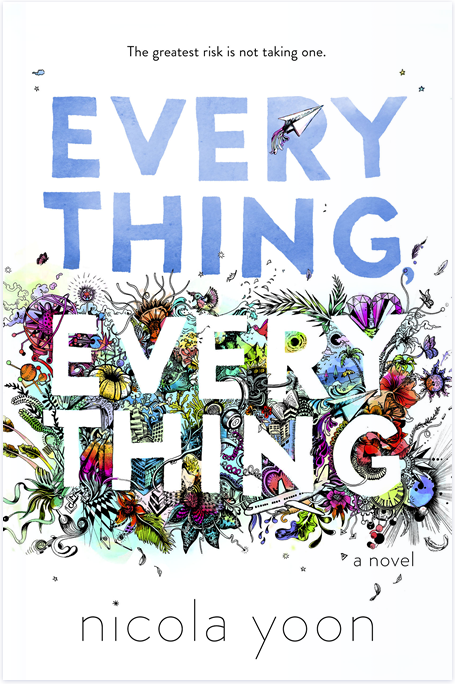 Everything, Everything screamed mystery and meaning, and I was happy to see what sort of adventure might be in store. I enjoyed getting to know Madeline - her wit (especially evident in the awesome illustrations of her written "assignments," book reviews, and more), her big heart, and her desire to taste life, knowing that just one taste could be her undoing. And for the most part, I enjoyed getting to know Olly, too. His skills and interests, as well as humor and kindness, draw Madeline out of the isolation and rigidity she's always known day to day. This story is an intriguing blend of the unexpected and the well-traveled...bordering on a fairy tale and yet well-grounded in real feelings...delivering something new while conveying a familiar but important theme. It's a quirky but clever read with a lot of personality. Everything, Everything makes a lot of thought-provoking points and raises some interesting questions about what life really should be like and how it should be approached. There are some sad circumstances and not everything gets handled "perfectly," but I admire the quest for truth.